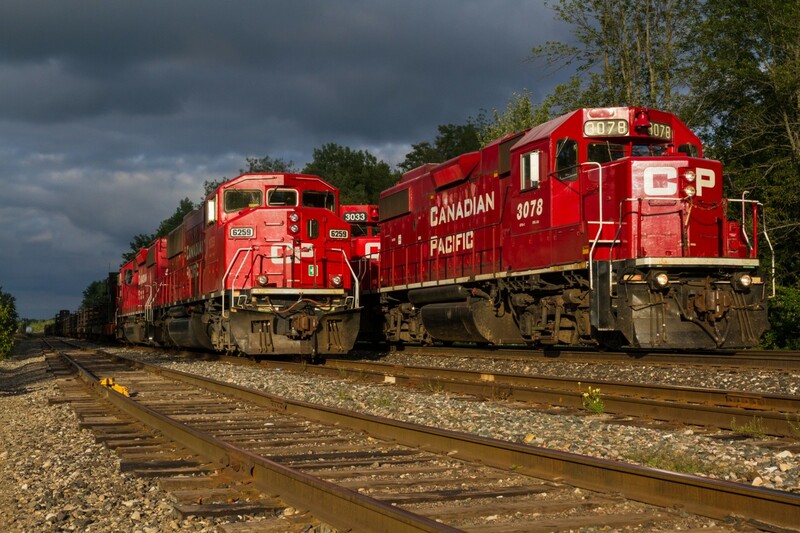 Railpictures.ca - Ryan Gaynor Photo: Storm light and EMDs as far as the eye can see. | Railpictures.ca – Canadian Railway Photography – photographie ferroviaire Canadienne. Caption: Storm light and EMDs as far as the eye can see.